Norma Jean and I have just returned from a wonderful week’s vacation. We enjoyed the time with our family. Especially our adorable grandsons, Roy and Miles. We never knew being a grandparent could be so…..well, grand! The week ended with a trip to Trenton, Florida, to attend the “Lord reunion.” It’s a gathering of Norma Jean’s maternal relatives. Granddaddy Lord has long since passed on to his reward, but he left an enduring legacy. The wise man wrote, “A good man leaves an inheritance to his children’s children” (Prov 13:22). While the writer may have in mind a material inheritance, we leave to those behind us a greater legacy that mere financial gain. I’m thinking of the legacy of faith. Both Miles and Roy are blessed with a rich legacy from both sides of their families. Their parents are Christians. Their grandparents are Christians. They both have great-grand parents that were Christians. Their legacy of faith may even go back six generations. As I reflect on my own upbringing, I know certain godly principles were instilled in my mind from my youth up. Consider these 5 Biblical values that will leave a lasting legacy of faith to those coming behind you. (1) Values that glorify God. 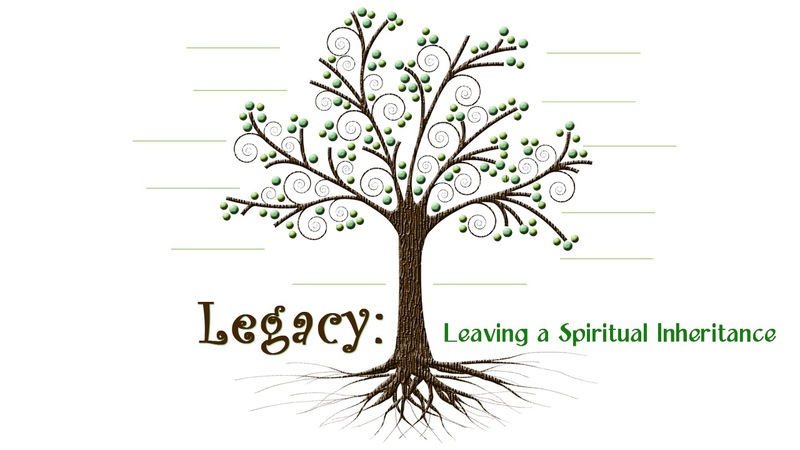 A lasting spiritual legacy must be rooted in our relationship to the Lord. The Bible speaks of having conduct in the world that glorifies God (1 Pet. 2:12). Children need to be taught that God is their Creator. Their Heavenly Father. Their Provider. And their Guide. When we pass on values that exalt the Lord, we lay a solid foundation for a legacy of faith. The second great commandment, “Love your neighbor as yourself” (Matt 22:39), provides a valuable basis for relationships in life. It plants the seed for doing good (Gal. 6:10). For caring. For sharing. And for making a difference in the world. What a great legacy we leave behind, when others are enriches by our lives. (3) Values that admit personal responsibility. We live in an age where many play “the blame game.” They see themselves as victims, feeling little or no sense of personal responsibility for their actions or the resulting consequences. One of the great lessons we can pass on to our children and grandchildren is to be accountable for our attitudes and behavior. Values give meaning to our existence. They provide a reason for living. They direct us. Why go to work? Why go to school? Why work at developing relationships? Why become a better person? “Many are the plans in a man’s heart, but it is the Lord’s purpose that prevails” (Prov. 19:21). The heritage of purpose passed from generation to generation is a vital part of a valuable legacy. (5) Values that offer stability. So many things are fleeting, changing, and transitory. Biblical values provide a foundation on which to build a lasting legacy because they offer stability. The legacy we leave can make a difference for future generations. Is it a legacy of faith? Of values? Of spiritual enrichment? Let the people behind you know what you are doing. What you believe. And where you are going. Pastor ken I really mis you, you are welcome, more grace and anointing.